5.4" x 3.2" x 5"
EHEIM - EHEIM COMPACT PUMP 3000. High, controllable output from a compact unit - that's what these pumps represent. These new models complete the range of compact pumps. Suitable for use in or out of water. For use in water. Supplied adapters make it suitable also for outside water. 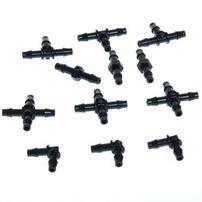 Supplied adapters make it suitable also for outside water.